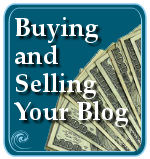 Want more attention for your blog? Then ask your visitors to help you. As part of the ongoing series on WordPress.com Blog Bling, let’s add some social bookmarking links to your WordPress blogs. Submission Links or Social Bookmarking Links are a series of links found on many blogs today which “help” the visitor add the post to their social bookmarking service such as Technorati, Bloglines, Rededit, Spurl, Furl, ma.gnolia, Feedmarker, digg, Blinklist, and others. These colorful rows of little icons litter blogs all over the world. The idea is to help the visitor easily add the post to their social bookmarking service. 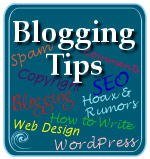 Most serious bloggers are now removing these from the posts as most people have a browser bookmarklet or tool to help them add the post. Still, a lot of people want them. Let’s look first at how full version WordPress users can add social bookmarking links to their blogs, and then we’ll get to more WordPress.com Blog Bling with your own social bookmarking links. There is another alternative that works for both full-version WordPress blogs and WordPress.com blogs. IFeedReaders offers an online do-it-yourself program that allows you to select from a list of social bookmarking services and generate a list of social bookmark buttons. Full version WordPress blogs can use the “blog specific” version to create a list of social bookmarking links to add to your WordPress Theme template files. WordPress.com bloggers can use “For Static Page” to create the HTML code to copy and paste in the bottom of your blog post. If you are a do-it-yourself kind of blogger and web designer, then here are some options you can use to do this with your full-version WordPress blog or WordPress.com blog. You don’t need a WordPress Plugin to create your own custom series of social bookmarking links on full version WordPress blogs. You just need to add the links to your WordPress Theme template files. WordPress Themes use one of two template files to generate single post views on your WordPress blog: index.php and single.php. You will need to edit this with the WordPress built-in text editor or your own text editor program. Placement of the social bookmarking code is within the WordPress Loop. It can be placed within the codes anywhere after the_content() template tag and before the comments_template() section. You might have related posts or another series of Post Meta Data Section template tags or code in that section, so you may want the social bookmarking code to be before the post meta data section or within it. The exact format may change depending upon the social bookmarking service’s specifications. Two template tags are used to generate the individual links on all social bookmarking submission links. The the_title() template tag generates the post title and the the_permalink() template tag generates the link to the post. The target="_blank" attribute opens the submission link in a new window or tab, keeping the original article open. Social bookmarking links can feature the text title of the service or an icon. While many people use images in their social bookmarking submission links, some use text. The above example shows the text title. And some use a combination of both text and icons. The following is an example of the text links to the most popular social bookmarking services, with the WordPress template tags in place. Just copy and paste this onto your WordPress template file. Edit it to match your specific needs and favorite social bookmarking services. Once you have put the social bookmarking code within your WordPress Theme template files, save the file and upload it to your WordPress Theme directory and it will automatically generate the list on every post on your blog. Adding social bookmarking site submission links to your WordPress.com blog is a little more challenging, though in theory, it isn’t much different from how it’s done on full version WordPress blogs. The difference is that instead of using template files to automatically generate the post title and URL (address), you have to do it manually. ArchaeoAstronomy built a Social Bookmarking Site Submission Bookmarklet for WordPress.com generator. Visit the page, choose which social bookmarking sites you want to feature, and then generate the bookmarklet. Click and drag the resulting link to your browser’s bookmark bar and you are only a few clicks from a social bookmarking link list on any post you writing on WordPress.com. Click the Social Links bookmarklet on your bookmarks bar. Paste in the page slug. Copy the resulting text and code and close the popup window. Paste the code into the bottom of your blog post. Save and/or Publish your post. You can customize the code on the Social Links bookmarklet by right clicking the bookmarklet and choosing Properties. Edit the code to your specific needs, such as removing images to feature only text links, or to change the title. See this post for more help on using the bookmarklet. There are some limitations to ArchaeoAstronomy’s Submit Links bookmarklet. It grabs today’s date, so if you are working on future posts, you will have to manually change the date with a search and replace in a text editor to adjust the date to the desired one for publishing. Avoid changing the release date on such posts. If you change the title of the post, and want the page slug changed, you will need to either recreate a new submit links bar, or search and replace the old page title with the new one, including the page slug. The last icon in the list is to ArchaeoAstronomy’s blog if you don’t recognize it. For those who don’t use future posts, this is a quick and easy social bookmarking links too. Another method described above for full version WordPress users is IFeedReaders, an online do-it-yourself program that allows you to select from a list of social bookmarking services and generate a list of social bookmark buttons. WordPress.com bloggers can choose “For Static Page” to create the HTML code to copy and paste in the bottom of your blog post. You have to run this for every post, unfortunately. For those who want to know how I did this prior to ArchaeoAstronomy’s Social Bookmarking Links Generator, here is the manual method. The social bookmarking site submission link code is the same on every post. What changes is the “post title” and “post URL”. These must be customized and replaced for every post you write. I keep a text editor open all the time as I work. I take notes, build up link lists for reference, and do a lot coding. I also keep a text file with the code for my submit links list, so it’s a fast and easy process to add these to my posts. Write your post and save it to release in the near future. Locate and copy the URL for the published post. In your social bookmarking links file saved in a text editor, search and replace the URL in the files with the new URL from the new post. Search and replace the title in the code with the new post title. Copy and paste the social bookmarking links into the bottom of the post content. Change the release time and date, if desired. Simply search and replace the correct information into the POSTTITLE and POSTURL placeholders, then copy and paste the code into your WordPress.com blog. If you would like to use graphic icons instead of text, simply replace the link text with the graphic icon. 3 Spots and Poulair.eu have vast lists of social bookmarking icons for downloading and social bookmarking submit link codes. Social bookmarking links add visual clutter to your blogs. Many bloggers have stopped using them, understanding that serious users of social bookmarking services have their own tools for site submissions, so why be redundant. Others use them when they feel they need them, such as on very popular posts. As a rule, I don’t use my submit links list on every post. In my opinion, not every post is worthy of adding to the core of valuable documents bookmarked online. Make sure there are no spaces before or after the title, only between the words. Do not use /, \, or other not nice characters that can break link code. Social bookmarking services come and go as the trends shift, so check frequently to see if the blogging services list you use needs to be updated. In these examples, I’ve used a space+pipe+space ( | ) to separate the links. 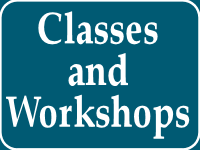 You can use a space, comma, brackets, or other visual aid to separate the links. If you are using graphic icons, put a space between the links so the graphics aren’t crowded together. If you are using graphic icon images, keep the images about the same height to create a uniform visual line of icons. Break the list into short rows or allow them to wrap to a second line gracefully. If they won’t wrap around as the page width changes, readers will have to vertically scroll to get to the last icon links on your list. 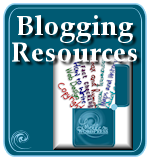 Have fun adding some social bookmarking blog bling to your blogs! Social Bookmarking Managers – And the Winner Is? This entry was written by Lorelle VanFossen and posted on January 31, 2007 at 2:22 am and filed under WordPress, WordPress Themes, WordPress Tips, WordPressDotCom with tags how to use wordpress, wordpress, wordpress help, WordPress Themes, WordPress Tips, wordpress tutorials, wordpress.com. Bookmark the permalink. Follow any comments here with the RSS feed for this post. Post a comment or leave a trackback: Trackback URL. how do you manage to keep your quotes from being turned into curly quotes? i always have to resort to making txt file templates, although since the find + replace has to happen in a text editor anyway, i think that probably makes more sense. and some associated CSS to show the icon. Digg has some really bad usability for submitting stories that have already been submitted, which can be mitigated by the Digg This!/Digg That! plugins. Thanks for the scoop, Lorelle! FWIW I use a plug in called Sociable for my blog – didn’t see it listed above. I put in a feedback this week trying to get smartquote filtering turned off in TEXTAREAs for code samples. 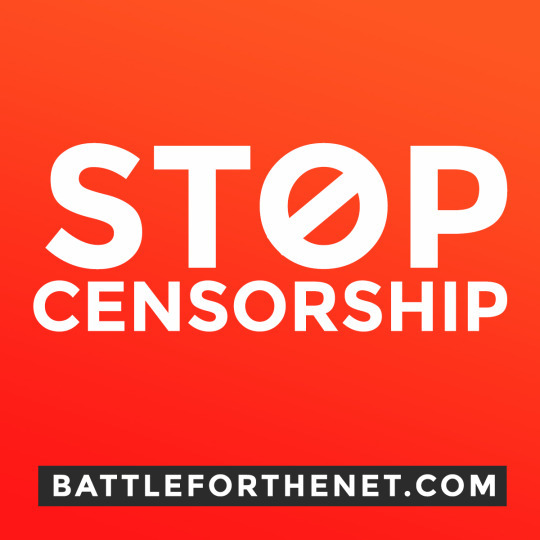 I would love an option to turn that filtering off on my blog. What’s wrong with ASCII? One note on social bookmarking services that is beyond the scope of this article… they all have their unique cultures and foibles. With some of them there is negative connotations if you submit a lot from your own site (“blog spam”). With most of these bookmarking services the people who really do well with using them for traffic generation are part of the site community and culture (or they have a user base who is part of the communities — like Lifehacker for example). One trick I’ve found is to focus on social bookmarking sites that are specific to your article. IE: if you write about programming target http://programming.reddit.com Give a reader 20 options and they’ll ignore them, but give them 3 and they might click one. Also, if you are using FeedBurner for your site feed they have these options called “Feed Flares” where you can put text links for Digg, Del.icio.us, etc in the bottom of your page feeds. They’re dynamic and they list the number of saves/votes/etc. What? Talk of social bookmarking and no mention of Gregarious? I’m new to blogging and these articles are such a great resource. Nearly bought a blog design book today then stumbled across this, love it! Here is analysis on Social bookmarking service providers, their Google and Alexa Ranking. Social Bookmarking Research And Analyss Hope this will help you. wow…what a resourcefull place here. thanks for the information that u’ve shared. DekGigg.com helps you get more back links and increase traffic to your website for free of charge, no cost to you. Hello, I am very new to blogging and spend a lot of time trying to set up my blog and install appropriate widgets. Today a visitor posted a comment asking how to subscribe to my blog. 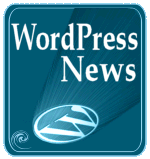 WordPress blogs are auto-discoverable by feed readers. Just have them put your site’s address in their feed reader, or use the Feed Widget in the Appearance > Widgets sidebar accessorizer to add the icon and make the link visible. Is that the kind of subscription they were talking about? There are a lot, email versions, newsletters, etc. “Reply to Comment” is in your Theme design. 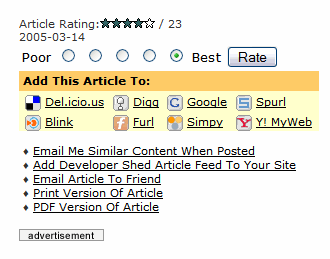 If you have comments enabled, it should appear automatically on single post pageviews (blog posts). If not, change Themes. Key Logger software runs invisibly and records keystrokes, capture screenshots, website urls, chat conversation, passwords emails and secretly track all activities performed on computer and laptop. Keyboard logger is compatible with all windows operating system Windows 98, Windows Me, Windows 2000, Windows 2003, Windows XP and Windows Vista. Keylogger Automatically records all keyboards activates typed emails chat conversations voice chat records and website visited user passwords. MS Access database password recovery tool access password breaker recover your mdb database file password. MS Access Password Recovery software recover the password for all version of Microsoft Access database files. Recover access database password tool recover MS Access database password. Access Password Recovery recovers lost passwords for any MS Access 97/XP/2000/ 2003 database. No technical skill or special training is required to use the software. Unlock MS Access MDB Files software is provided with easy-to-use graphical interface to help user to operate the software. MSN messenger password recovery program finds all MSN Messenger, Windows Live Messenger and Windows Messenger passwords stored on the local system. MSN password decrypter decrypt MSN Messenger passwords crack MSN Messenger password. Windows data recovery software undelete hard disk drive restore deleted files tools utility retrieval freeware formatted logical disks repair. Partition Recovery software for NTFS & FAT file systems that provides windows partition recovery from damaged and corrupted hard drive or lost partition. Hard Disk Recovery Tool Support hard disks and other storage disk device including all IDE, SATA, EIDE and SCSI disk devices. Data recovery software recovers deleted files and folders even after Recycle bin has been emptied or Shift +Del keys have been used. Pen Drive Data Recovery Software is used for retrieving lost pen drive data. It can restore lost pen drive files even after using Shift + Del key. Software does not require any specified technical skill to recover deleted or formatted data. Recover Restore and Retrieve Undelete deleted data from reformatted or corrupted USB Pen drives. USB Drive Data Recovery Software support pen drives in all capacities including 128MB, 256MB, 512MB, 1GB, 2GB, 4GB, 8GB and even higher capacity drives. Pen drive data recovery software is developed to recover and restore lost deleted formatted data from formatted, reformatted pen drives. Pen Drive Data recovery tool recover data from all brands of pen drives including Kingston, Sony, Transcend Pen Drive, Sandisk Pen Drive, Intex Pen Drive, iBall Pen Drive, IBM Pen Drive, Umax Pen Drive, Dlink Pen Drive and many more. USB Drive Data Rescue Software supports Windows 98, ME, XP (Home, Professional and Media Center), NT, 2000 Server, Vista Operating systems. you can restore your digital photos, images, audio video songs important documents from formatted or deleted pen drives. Pen Drive Data Recovery Software Feature • Restore data lost due to continuous formats, logical partition error, accidentally deletion, system generated error messages, virus problems and many more. • Recover Pen Drive Files support major Pen Drive brands including Kingston, Sony, Transcend, SanDisk, Toshiba etc. • Recover lost or missing files and folders from Pen Drive. • Restore pen drive data support all capacities pen drive including 512MB, 1GB, 2GB, 4GB, 8GB and even higher capacity pen drives. • Thumb drive data restoration recovers data from corrupted or damaged pen drive. Mobile cell phone data recovery software recovers and restores lost, accidentally deleted or erased text messages (SMS), contact phone numbers from mobile phone sim card. If your phone stores your text messages on your cell phone sim card then our software easily recovers your all deleted data. Software is a sim card forensic tool that is used to retrieve information or data from cell phones sim card memory. It recovers lost data from corrupted mobile phone sim card. It supports all windows operating system like Widows XP, Widows Vista, Widows 2000, Widows 2003, Widows 98, Widows NT and ME Operating System. It does not require any technical skills to operate the software. User can view easily SIM IMSI Number, card identification number (ICC-ID number), and service provider name (SPN). SIM card data recovery software retrieve GSM mobile phone deleted text messages. 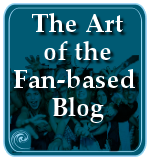 Great article, do you mind if I paste a link to it on my blog? If you have to ask, you are new to all this, I hope. This will help you answer that question. I wanted the wordpress theme which have function to allow user to submit their site articles and other users can vote according to site link content. Do you know any wordpress theme with such functionality ? This is not a Theme functionality but WordPress Plugin. Look for crowd sourced or user submitted content in the Plugin Directory.